Chelsea Manning, Once Sentenced To 35 Years, Walks Free After 7 Years : The Two-Way Chelsea Manning, the transgender soldier convicted of leaking classified U.S. documents, has been released from a military prison in Kansas. President Barack Obama commuted her sentence in January. Army Pvt. 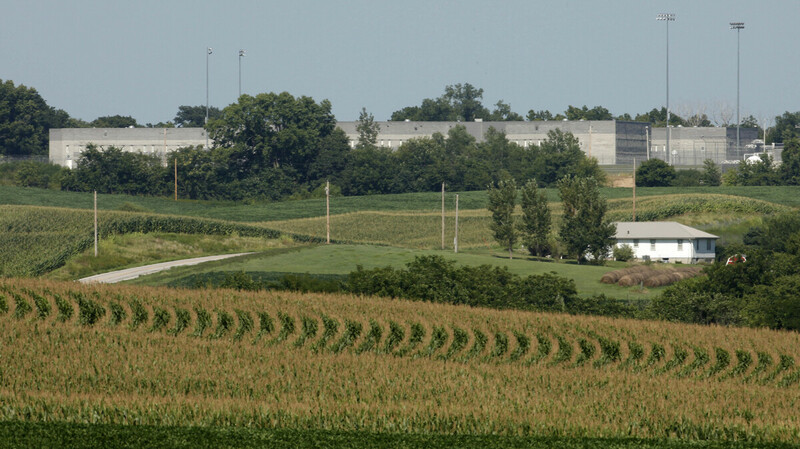 Chelsea Manning was released Wednesday from Fort Leavenworth, a military prison in Kansas. In January, then-President Barack Obama commuted Manning's 35-year prison sentence after she requested clemency. Army Pvt. Chelsea Manning has left a military prison in Kansas and returned to civilian life Wednesday, seven years after being taken into custody for what is seen as the largest leak of classified data in U.S. history. "After another anxious four months of waiting, the day has finally arrived," Manning said in a statement released by the American Civil Liberties Union. "I am looking forward to so much! Whatever is ahead of me is far more important than the past. I'm figuring things out right now — which is exciting, awkward, fun, and all new for me." The 35-year prison term Manning received as punishment for leaking thousands of military and State Department documents to WikiLeaks in 2010 was described as unprecedented when it was handed down. Before he left office, President Barack Obama shortened the sentence to about seven years. After Manning's release, her lawyer at the ACLU, Chase Strangio, said, "Through extended periods of solitary confinement and up against the government's insistence on denying her medical care and existence as a woman, Chelsea has emerged with grace, resilience, and an inspiring amount of love for others." In court, Manning pleaded guilty to leaking secret information — but she was acquitted of the most serious charge, aiding the enemy, in July 2013. On the morning of Manning's release, a fundraising campaign for her post-release expenses met its goal of raising $150,000. In a related campaign, musicians Thurston Moore and Talib Kweli are among more than 30 acts on a benefit album that was released this week, with the proceeds going to Manning. Military personnel at the prison at Fort Leavenworth, Kan., where Manning was held had not provided many details about her release that was scheduled for Wednesday. Members of Manning's support team also provided little information, citing her need for privacy and time to adjust. They've said she plans to live in Maryland, where she has family. Manning's court-martial conviction is under appeal; her current status is classified as a special type of active duty, The Associated Press reports, meaning that "she will be unpaid but will be legally entitled to military medical care," the wire service says, citing an Army spokeswoman. Among the records Manning has admitted to passing on to WikiLeaks were a video showing a 2007 U.S. Apache helicopter attack in Baghdad that killed 11 men and 750,000 classified documents that contained military and diplomatic dispatches. The 35-year sentence Manning, seen here in an undated handout photo, originally received was described as unprecedented when it was handed down. Rights groups have sharply criticized the way the government handled Manning's case; they also faulted the official response to what Amnesty International USA calls "possible war crimes committed by the military" that are depicted in the records she released. "Chelsea's treatment is especially galling given that nobody has been held accountable for the alleged crimes that she brought to light," says Margaret Huang, executive director of Amnesty International USA. "While we celebrate her freedom, we will continue to call for an independent investigation into the potential human rights violations she exposed, and for protections to be put in place to ensure whistleblowers like Chelsea are never again subjected to such appalling treatment." "It has been my view that given she went to trial, that due process was carried out, that she took responsibility for her crime, that the sentence that she received was very disproportional — disproportionate relative to what other leakers had received, and that she had served a significant amount of time, that it made it sense to commute — and not pardon — her sentence." "Part of the reason that the White House justified granting her clemency was because it was so much longer than other recent leak sentences. In a lot of the cases, people plead guilty and get maybe a year in prison. But 35 years really shocked people. And the seven years that had already been served was seen as enough by the Obama White House." Nelson also told host Mary Louise Kelly that there's a difference between Manning's case and that of Edward Snowden, the former NSA contractor, who leaked information. "Manning as a 22-year-old wanted to spark a broad worldwide discussion of various injustices she perceived in scandals, whereas Snowden who had access to more highly classified documents had a very specific policy debate he wanted to start about surveillance. And he left the country, rather than be arrested. "When the Obama administration was preparing to grant Manning clemency, they drew the distinction that Manning had faced trial, that Manning had expressed some degree of contrition. Snowden, of course, is totally unrepentant, feels he did the right thing. So that's a real distinction. He hasn't been tried, he's not sorry, and Manning was both." 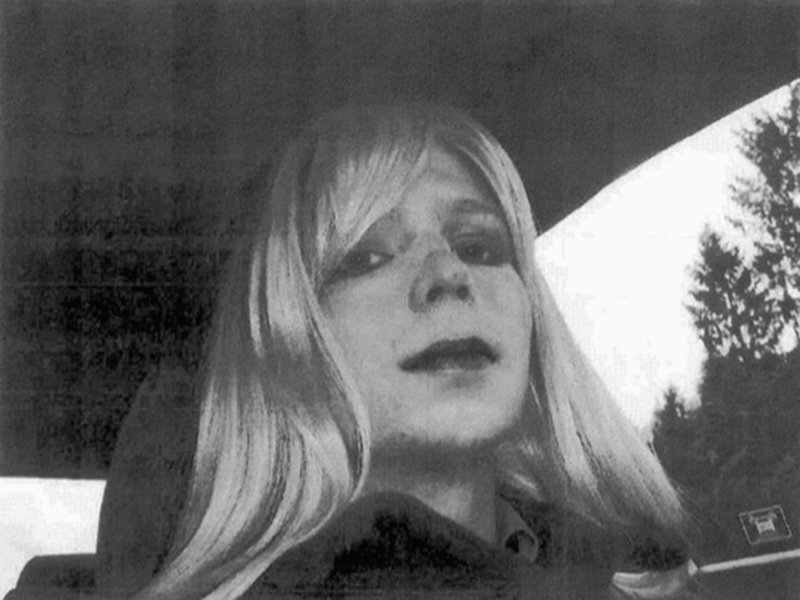 While in prison, Manning had to transition as a woman in a male military facility. She has tried to commit suicide twice. "I watched the world change from inside prison walls and through the letters that I have received from veterans, trans young people, parents, politicians and artists. My spirits were lifted in dark times, reading of their support, sharing in their triumphs, and helping them through challenges of their own. I hope to take the lessons that I have learned, the love that I have been given, and the hope that I have to work toward making life better for others."